FAR Rabat - Enyimba International F.C. FAR Rabat has not submitted any formation. 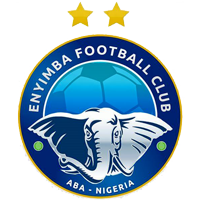 Enyimba International F.C. has not submitted any formation. 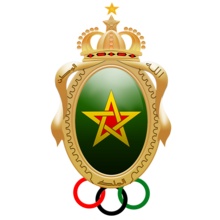 FAR Rabat Enyimba International F.C. Jalal Iajour has the chance to shoot... and cannot even target the goal. Cross by Alloysius Osinbajo... into the clouds! Jalal Iajour tries to pass the ball to the strikers... but misses! Alloysius Osinbajo passes the ball towards the centre... but the opponent catches it. Abdelilah Moutouali runs towards Alloysius Osinbajo... and looses the ball. Alloysius Osinbajo runs towards his opponent and wins the tackling! Tooor fur Enyimba International F.C.! Ikechukwu Yusuf legt auf Nwankwo Okocha ab, der nur noch einschieben muss. Yassine Senoussi lets taken away the ball. Abdelhadi Benabicha passes the ball towards the centre... but the opponent catches it. Ikechukwu Yusuf tries to pass the ball to the strikers... but misses! Nwankwo Okocha has the chance to shoot... and cannot even target the goal. Walid El Yamiq tries to pass the ball to the strikers... but misses! GOAL - what a trick by Nwankwo Okocha! Yassine Senoussi tries to pass the ball to the strikers... but misses! Mohamed Ogu tries to pass the ball to the strikers... but misses! Marouane Bounou tries to pass the ball to the strikers... but misses! Shehu Oyarekhua passes the ball towards the centre... but the opponent catches it. Omar Bammou passes the ball towards the centre... but the opponent catches it. Dele Obasanjo passes the ball... and the ball is out. Zouhair Boutaïb tries to pass the ball to the strikers... but misses! Ogenyi Onyekuru passes the ball towards the centre... but the opponent catches it. Omar Bammou passes the ball... and the ball is out. Shehu Oyarekhua tries to pass the ball to the strikers... but misses! Header by Marouane Bounou... but missed. Cross by Bukola Musa... into the clouds! Abdelilah Moutouali passes the ball... and the ball is out. Bukola Musa lets taken away the ball. Bukola Musa tries to pass the ball to the strikers... but misses! Cross by Marouane Bounou... into the clouds! Marouane Bounou in a tackling... and wins it! Jalal Iajour passes the ball... and the ball is out. Mohammed El Yamiq shoots... but the goalkeeper can turn the ball around the goalpost. Alloysius Osinbajo in a tackling... and looses it! Omar Benatia passes the ball towards the centre... but the opponent catches it. Yassine Senoussi has the ball and sees his opponent in front of him... and looses the tackling. Ikechukwu Yusuf passes the ball towards the centre... but the opponent catches it. Yassine Senoussi is shown the yellow card. Ikechukwu Yusuf in a tackling... and wins it! Abdelhadi Benabicha passes the ball... and the ball is out. Ikechukwu Yusuf has the ball and sees his opponent in front of him... and looses the tackling. Emmanuel Okocha tries to pass the ball to the strikers... but misses! Marouane Bounou has the ball and sees his opponent in front of him... and looses the tackling. Nwankwo Okocha tries it with a strong shoot... but missed. Omar Benatia tries to pass the ball to the strikers... but misses! Nwankwo Okocha in a tackling... and looses it! Nwankwo Okocha shoots... but the goalkeeper can turn the ball around the goalpost. Yassine Senoussi passes the ball towards the centre... but the opponent catches it. Cross by Ikechukwu Yusuf... into the clouds! Ikechukwu Yusuf steals his opponent's ball in a tackling. Walid El Yamiq in a tackling... and looses it! Omar Benatia has the ball and sees his opponent in front of him... and looses the tackling. Jalal Iajour lets taken away the ball. Mohammed El Yamiq tries to pass the ball to the strikers... but misses! Ikechukwu Yusuf passes the ball... and the ball is out. Nwankwo Okocha has the ball and sees his opponent in front of him... but he can win the tackling. Emmanuel Okocha shoots... but the goalkeeper dives to get the ball. Bukola Musa in a tackling... and looses it! Omar Bammou lets taken away the ball.